Russia and India have agreed to found a joint venture, which would assemble Kamov Ka-226T light utility helicopters. According to the contract signed on October 15, in the next nine years India will get 200 helicopters, 60 of which will be built in Russia, Russian Helicopters said in a statement. The contract was signed at the sidelines of the Russo-Indian Summit. The Russian side, represented by Russian Helicopters and state defense corporation Rosoboronexport, both part of Rostec, will control 49.5% of shares in the new joint venture, called Indo-Russian Helicopters Private Limited. Their Indian counterpart, Hindustan Aeronautics Limited (HAL), will have the remaining 50.5%. Russian rotorcraft holding confirmed that out of the total of 200 helicopters 60 will be built in Russia, the remaining number – in India. “It is the first time that we are ready to offer localization of production of our models to such a great extent, which includes setting up production of components and units,” Alexander Mikheyev, head of Russian Helicopters emphasized. The new joint venture is a pilot Russo-Indian project within the framework of Make in India program, promoted by the Indian government. The letter of intent concerning co-operation in helicopter production between the two countries was signed in December 2015. Rostec earlier commented that the agreement covers assembly of various Ka-226 modifications. Initially launched with the Indian market in mind, the project may later be extended to include other models and enter other markets. Ka-226T was designed under the requirements of the Indian Air Force’s bidding for a new light helicopter, announced in 2003. It was officially announced in 2015 that Russia won the competition. The Ka-226T modification has more powerful Turbomeca Arrius 2G1 engines than the original model, which improves its hot-and-high performance. 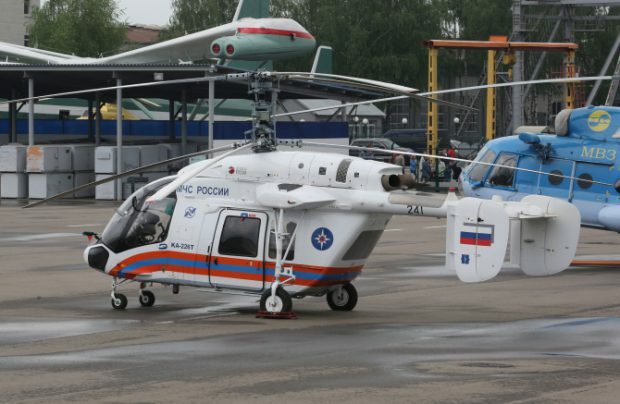 The cumulative fleet of Russian-built helicopters operated in India exceeds 400 aircraft.